Whether you found this website through a referral from your doctor, a friend, a web search or Linda’s TV, radio, or newspaper interviews, you are in the 80% of health care consumers who are seeking information on health topics over the internet. To help make your decision about setting an appointment with me a little easier, I have briefly summarized my goals and educational focus for each of the major types of diet counseling I provide. Please note that all sessions with me are personalized, collaborative with each client and based on current science. This list of practice areas is not all inclusive. Click here to download Linda’s brochure on Nutrition Therapy. A successful weight loss program should be based not merely on pounds of weight lost but on health-oriented lifestyle changes. 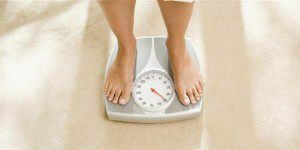 What causes overweight or obesity? Genetic Factors, Family Diet and Lifestyle Habits, Toxic Environment, Psychological Factors, Rare Diseases. The bottom line is that your caloric intake should be less than what you burn in daily activity to achieve your healthy weight. You don’t have to be hungry to lose weight, and I won’t let you become hungry. Short term and long term goals will be set at each appointment, based on your individual needs. A modest weight loss of 10% (usually achieved at a rate of about 1-2 pounds per week over a 6 month period) can decrease your health risks for many diseases such as diabetes and cardiovascular diseases. Bad habits didn’t develop overnight and neither will your new healthy habits. Think of this as a commitment to a lifetime of healthful living and wise food choices. 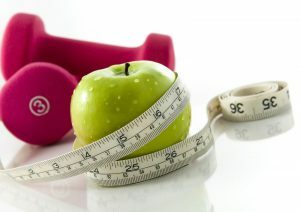 Check out this site for weight loss publications and resources. Also, click here to download Linda’s brochure on weight loss. Self-monitoring of daily food and activity. Improving your diet and lifestyle choices can decrease your risk for heart disease-the number one killer of Americans. Whether you have had a heart attack or stroke or just have a family history of heart disease, the American Heart Association “Therapeutic Lifestyle Diet” guidelines can reduce your health risks. I will calculate your individual nutrient needs and give you personalized recommendations on what to eat, what to limit, and what to increase in your diet. Exercise is a key component of heart health, and we will also discuss how to implement your doctor’s recommendations for exercise. Of course no one should smoke. Check out this informative link about heart health. Also, click here to download Linda’s brochure on cardiovascular health. High blood pressure, also called hypertension, is a major cause of stroke, heart disease, kidney failure and death. One third of those who have high blood pressure probably don’t know they have it. So eating a lower sodium diet is healthful for anyone. If you have blood pressure problems, I will help you implement the DASH (Dietary Approaches to Stop Hypertension) diet. This diet focuses on increasing low fat dairy foods and fruit and vegetables, while lowering unhealthy fats. It also stresses losing weight if overweight, limiting alcohol and sodium, and increasing aerobic physical activity (if permitted by your doctor). The number of people developing diabetes is growing worldwide. It is causing pre-mature death not only from diabetes but also from its cardiovascular complications. According to the World Health Organization, uncontrolled diabetes can increase your health care costs by 2-3 times over those who don’t have diabetes. It can also affect personal relationships, leisure activities and mobility. Click here to download Linda’s brochure on diabetes. Medical nutrition therapy is a key component in diabetes management. If you have Type 1 Diabetes, I suggest that you seek a Certified Diabetes Educator (CDE) and a Diabetes Self-Management Program (DSMT) to help regulate your diet and insulin and to monitor your blood sugars and body changes. DSMT is usually a group class. I am not a CDE, but I can personalize a diet to meet your individual needs. My diabetes diet services are more personalized than those you will receive through a DSMT program. If you have Type 2 Diabetes, I will develop a personalized meal plan and exercise guidelines to help you achieve a healthy weight and improved blood sugar, lipids and blood pressure. See General Diabetes Goals below. I will develop a personalized 3-meal, 3-snack meal plan for you. Calorie and protein needs will be adjusted according to trimester or if breastfeeding. Of course alcohol and mercury containing fish should be avoided. It seems like everyone today is concerned about their weight. But when an abnormal pattern of eating develops and body weight and health are in jeopardy, it is important to have a professional assessment by an MD and/or a therapist and a Registered Dietitian. Treatment can be very complex and should involve a team approach. Eating disorders are not just about fear of food and concern about body shape and gaining weight. They develop from problems with self-esteem, lack of control, depression, unrealistic body image and other issues. Controlling food is a symptom of bigger psychological issues. Treatment may take a long period of time, even years. Whether you are a professional or student athlete, a weekend cyclist or an amateur training for that first marathon or triathlon, what you eat and drink will affect your athletic performance. A well designed sports nutrition plan will help you train harder and compete better. Taking the important step of consulting with a sports dietitian, can optimize the athlete’s nutritional status and body composition for that winning edge. We will personalize your training diet and competition diet to your particular sport, age and gender. Carbohydrates are the primary fuel source for exercise. Adequate carbohydrate stores in the form of muscle and liver glycogen and blood sugar, are key for optimal athletic performance. Both strength and endurance athletes require more protein than less active athletes. Adequate fluids regulate your body temperature, prevent heat exhaustion and transport nutrients and energy to your muscles. If you are a coach or athletic coordinator, our sports dietitians can partner with you to help your student athletes eat better, so they not only keep pace with or excel in the physical demands of their sport, but they meet their individual nutrients needs for proper growth and development. We consult with teams, clubs, and individual athletes to teach the importance of nutrition combined with a proper training program to improve performance, prevent injury, and promote overall health and wellness. Consultations can be in large or small groups, or with individual athletes. All services are personalized. Guidance for Athletes with Medical Problems such as Diabetes, Anemia, Eating disorders, Food Allergies and others. Check out this site for credible sports science information. Problems with digestion and absorption of foods can lead to nutritional deficiencies, bowel and stomach problems, and a fear of eating food. Some foods are commonly determined to be problem foods, but you may have your own personal food intolerances as well. I will work with you to develop a meal plan that avoids food triggers and incorporates nutritional guidelines specific to your needs. Also called acid reflux, hiatal hernia, heartburn, and esophagitis. When the diaphragm muscle weakens, acidic stomach contents can be forced up into the esophagus causing heart burn like symptoms. Nutritional problems from IBS can be the result of malabsorption, diarrhea, decreased food intake or medications. These problems will differ from person to person depending on the location and severity of the disease. Fructose Malabsorption causes severe gas and bloating pain because of impaired absorption of fructose. It is not life threatening but it can affect your personal and social life when symptoms are severe. Nutrition therapy is an important adjunct to the medical treatment of Crohn’s disease. Your special diet will be aimed at providing good nutritious foods and removing foods that make your symptoms worse.